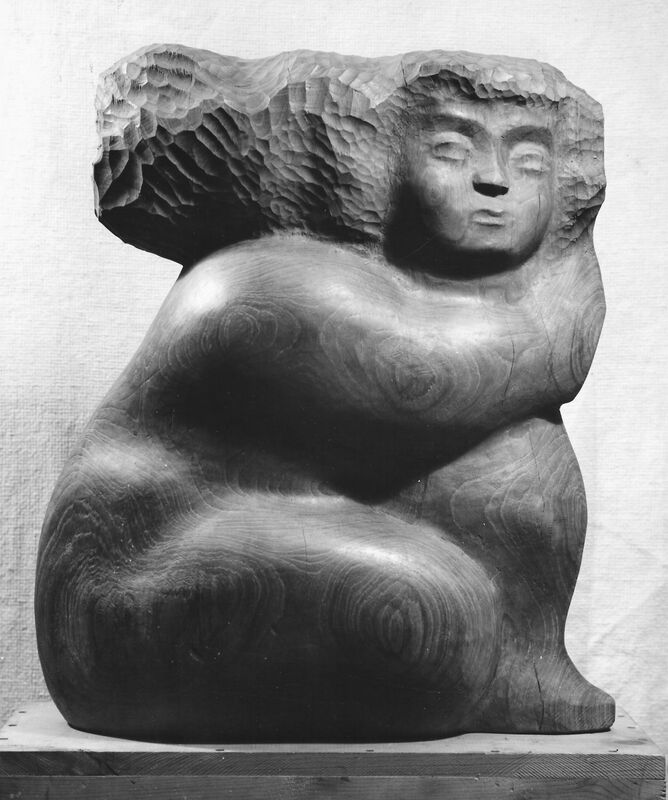 The 70-year career of American sculptor Chaim Gross (1904-91) is partially defined by his role as a sculpture teacher. One of his main tenets was the importance of utilizing touch in understanding the three-dimensional nature of sculpture. Although a common thread among sculptors themselves, this very rarely makes it to the viewer, who is often distanced from the work. Gross was a great proponent of the use of natural materials, especially as his initial fame was a result of his direct carvings in wood. These sculptures retain not only the rich textures of the wood, but also contain chisel marks and other evidence of the sculptor’s hand, left to convey varied surfaces and materials. This exhibition allows visitors to have a hands-on experience with the work of one of the most significant twentieth-century American sculptors, but also delves into his various methods, materials, and his educational mission that is continued through the Renee & Chaim Gross Foundation. The exhibition includes sixteen drawings and twelve sculptures in wood, bronze, and stone. The exhibition follows the Smithsonian Guidelines for Accessible Exhibition Design. We would like to thank JBI International (established as The Jewish Braille Institute) for generously supplying our Braille and large print guides for the exhibition. JBI International is a non-profit organization dedicated to meeting the cultural needs of the visually impaired, blind, physically handicapped, and reading disabled of all ages and backgrounds.